Panathinaikos bolstered its depth in midfield last week by signing Greek-Australian Panos Armenakas on a free transfer. He is the only signing the club has made in the winter transfer window and has signed on a two and a half year deal after leaving a positive impression on Giorgos Donis during his trial at Koropi. Armenakas was born on the 5th of August, 1998 at Newport Beach, California but moved to Sydney, Australia at a young age. As a result, he is still eligible to represent Greece, Australia and the USA, having already represented Greece and Australia at the youth level. Armenakas began his football career at the age of four with Greek-Australian backed club Sydney Olympic where he was scouted by former Socceroos and AEK midfielder and fellow Greek-Australian Jimmy Patikas, who was an old classmate of Armenakas’ father. Even from the age of four there were high hopes for the youngster as Patikas watched on in amazement at his control of the ball and dribbling. Armenakas stayed in Sydney until the age of 12, however, before then he had travelled to several European countries to showcase his talent. Backed by his supportive father (who he still sees as his mentor), he impressed at the AC Milan Academy set up in Sydney. This did not come cheap at $4,000 a year but the proof was in the pudding when he was already being compared to Ronaldinho and Dejan Savicevic by six years old, by coaches Misha Radovic and Andrea Icardi. He was invited to train in the famed La Masia Academy of FC Barcelona at the age of 6 and once again received glowing reviews during the three week period. 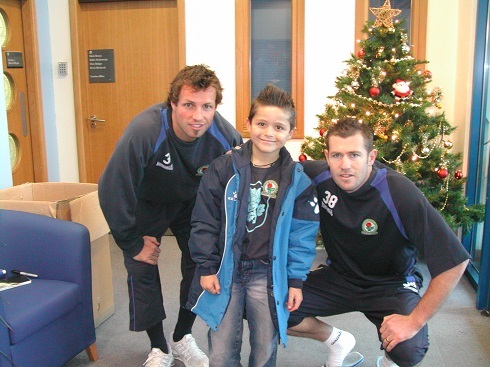 He also spent time in England at Bolton Wanderers. Touted as a hot prospect, Armenakas moved to Europe in late 2010 initially joining the Academy of Italian club Brescia before moving to England to join the youth set up of Watford. This came after impressing in an U12 tournament in Portugal with the AC Milan Academy (where he was the only non-Italian). He scored 8 goals in seven matches. Armenakas’ rise to fame continued and by the age of 14 he joined the Academy of the professional team. By this stage, he was linked with Liverpool, Manchester United and Arsenal. After spending two successful years with Watford, Armenakas moved to Italy to join the youth set up of Udinese. The clubs are co-owned by the Pozzo family so it could be inferred he was held in high regard and moved to Italy to further grow into a professional footballer. By this stage, he also received global recognition and was known worldwide after English paper “The Guardian” named him as one of the best 50 young talents in world football. In the ensuing years, a combination of poor form, managerial changes, and injuries hampered Armenakas’ progress at Udinese. Consequently, his path to the first team became clouded. Such managers (known to Greek football fans) included Andrea Stramaccioni and Igor Tudor. He impressed at youth level for Udinese in his 51 appearances that yielded 10 goals and 4 assists, but this has not been replicated at senior level to date. As previously stated, the midfielder is still eligible to represent any one of Greece, Australia, and the USA, however, his heart appears set on one day representing Australia - the country he grew up in and learnt his trade. 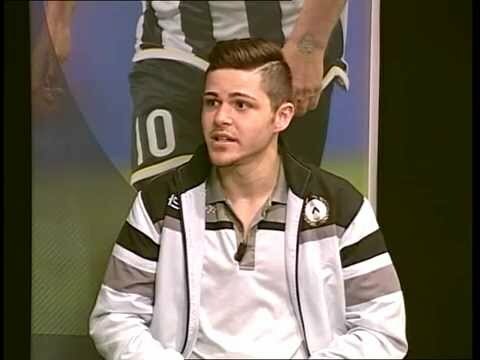 He has represented Greece U17 on two occasions in 2014 in friendly matches against Turkey (making his debut as a substitute replacing former Panathinaikos man Sotiris-Pantelis Pispas), but since then has made a total of nine appearances for the youth teams of Australia. Armenakas signed a three year deal with Udinese in 2015, meaning that his contract was set to expire in 2018. With this in mind, he moved to Belgian club Tubize on a season long loan in July 2017 in an attempt to reinvigorate himself as opportunities at Udinese were few and far between. However, the move to Belgium’s second tier did not have the desired effect as he only made six appearances and did not manage to score. These six appearances are still his only matches in men’s football to date. Armenakas’ contract at Udinese expired and as a result, he moved to West Ham to train with the London outfit in a fresh attempt to reignite his career and earn a contract. This failed to materialise after three months and Armenakas then found himself at Panathinaikos in late 2018 trialling at Koropi under the watch of Giorgos Donis. The signing was officially announced by the Greens on the 23rd of January, 2019. From the club’s perspective, it is in line with their youth policy under technical director Nikos Dabizas and Armenakas falls under the category of players in which the club can sign an infinite amount of due to his age and Greek background. It is also a low-risk move as his wages would not break the bank (he is tipped to be on somewhere between 150,000-200,000 Euro per season) and should he succeed, the Trifylli will have a quality player on their hands who is pacey, direct, and versatile. He can then in turn, earn the club a significant amount of money in the future if he impresses enough to earn a move to a bigger league for instance. It is also worth noting the club had been monitoring Armenakas’ situation from the summer as a backup option in case moves for Argiris Kampetsis and Nikos Vergos never materialised, so Dabizas was familiar with the player and showed no hesitation to take Donis’ word by offering him a contract which expires in 2021. It also boosts the squad’s depth, as it is only a thin and inexperienced squad in need of a refreshment. From the player’s perspective, this represents a golden opportunity to genuinely kick-start his stalling career in the country of his background. Patience and hard work will undoubtedly be required but the Greek Super League is a good option in the circumstances and the fact that a big club such as Panathinaikos has taken a punt on him should revive his confidence. Unlike past clubs, he should also be given more of a chance at the Greens.